An incredibly scarse Asteroceras from the Brown Band layer which has an immaculate centre and beautiful colouration throughout. Marston Magna is a world famous iconic Liassic site which has hidden its ancient secrets until now, thanks to a temporary exposure. 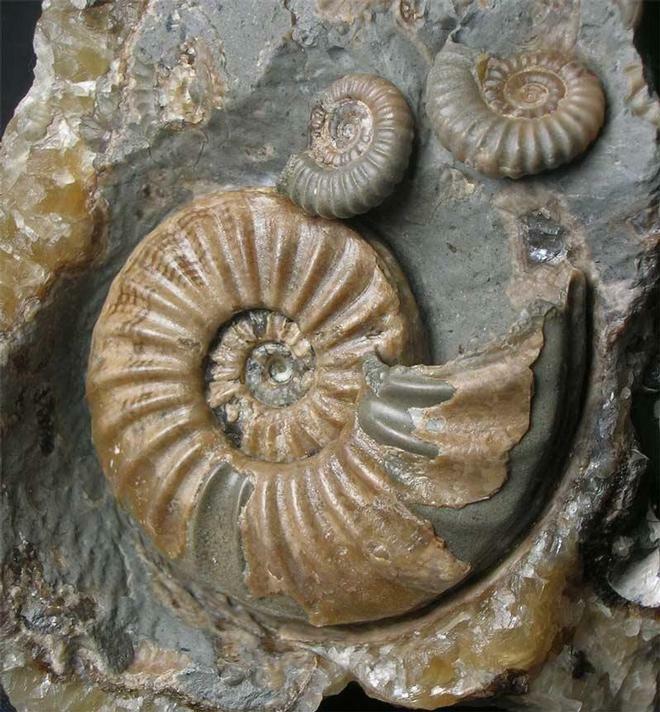 Alongside the Asteroceras are three Promicroceras Marstonense, also preserved in solid calcite. 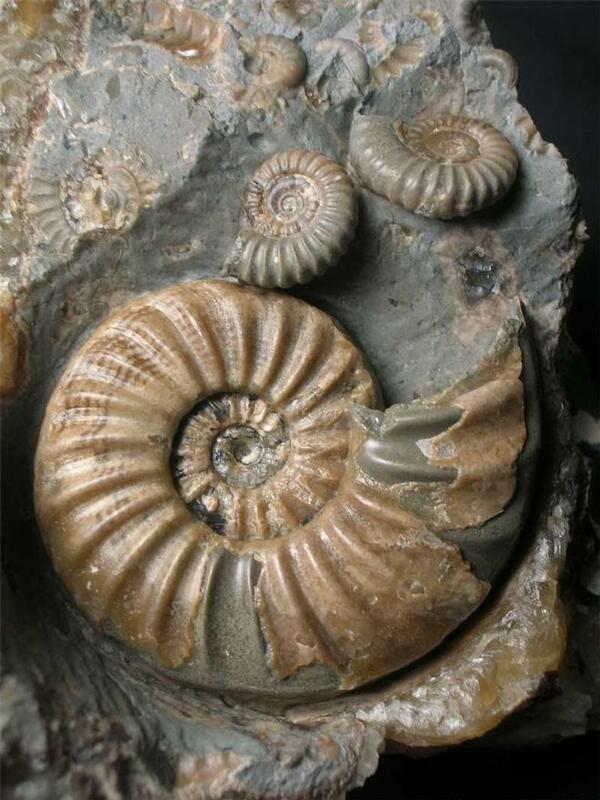 This is one of only a few Asteroceras discovered within this Brown Layer. 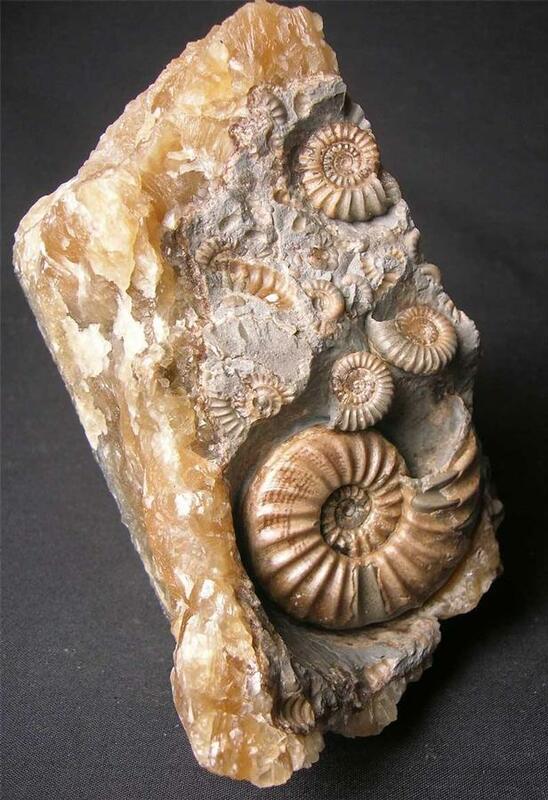 The surrounding matrix has a light yellow calcite edge which really adds to the overall aesthetics of the specimen. 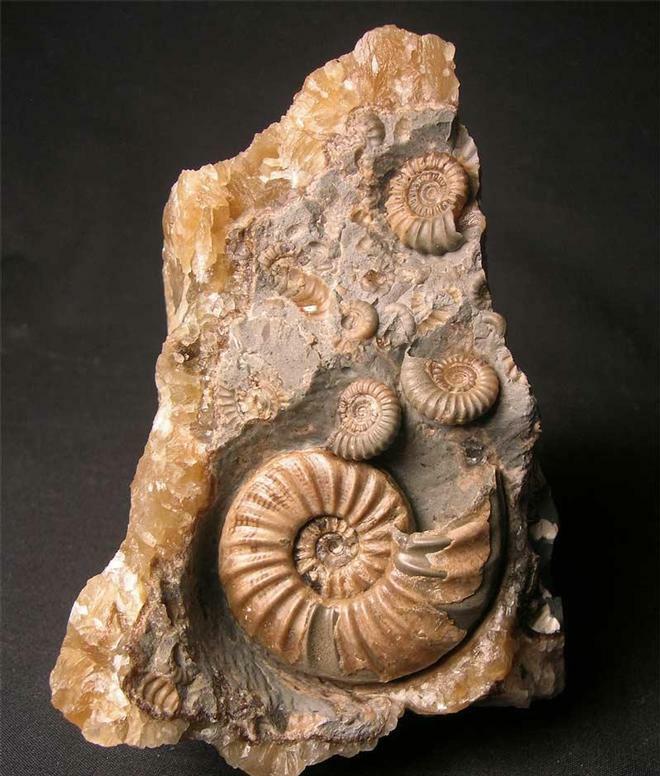 This extremely rare association from Marston Magna has taken many hours of prepare and is one for the connoisseur of fine fossils.